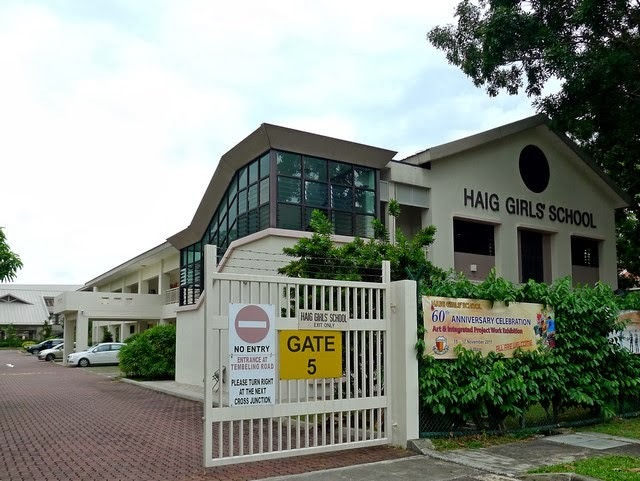 Haig Girls School is located at 51, Koon Seng Road in Singapore 427072. It is enclosed within the Joo Chiat Region. Joo Chiat is a residential conservation area within the eastern section of Singapore. It lies between Geylang Serai and Marine Parade Road. It is abundant in shophouses that are used for residential and commercial purposes. Nearest MRT is Eunos MRT and the closest Bus Interchange is Eunos Bus Interchange. Amenities in the area include Katong Mall, Joo Chiat Complex and Geylang Serai Malay Village. Some of the schools nearby are Telok Kurau Secondary School, Tanjong Katong girls School and CHIJ Primary School (Katong).